NEW! 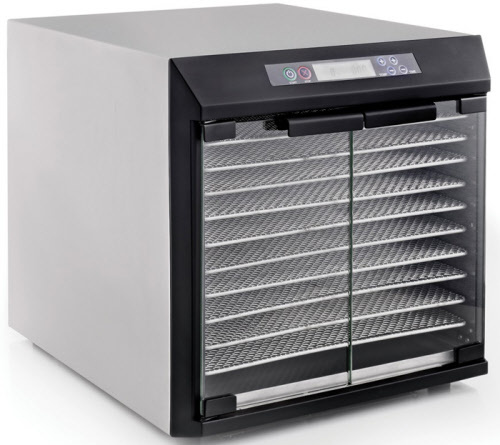 The long lasting beauty and modern appearance of Excalibur’s interior and exterior case stainless steel dehydrators lends a touch of class to your kitchen. 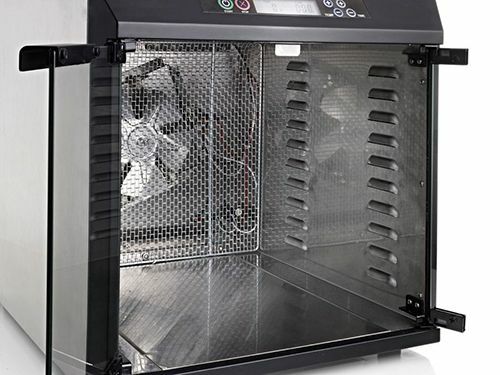 The perfect combination of industry leading air-flow mechanics and materials. 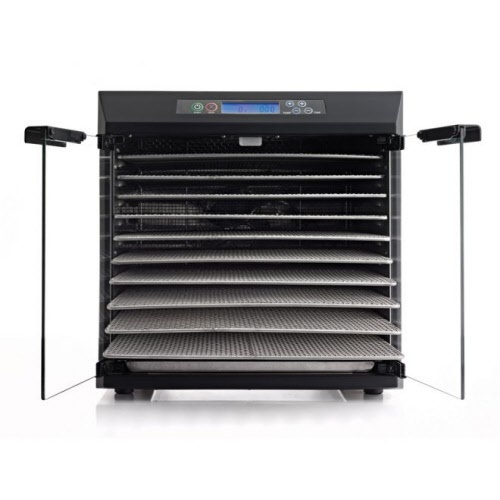 Ideal for families, hunters, crafts people, volume pet treats, in-home dehydrating businesses. 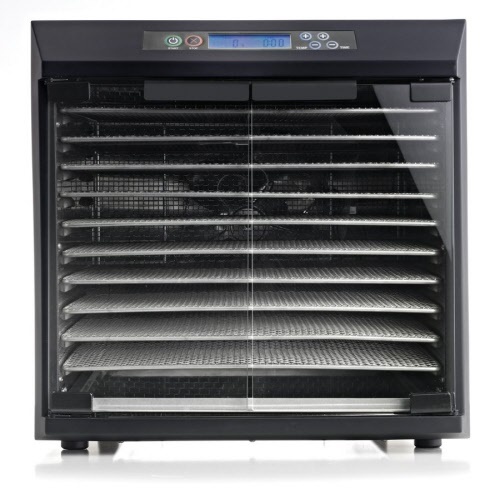 - Features Excalibur’s patented Parallex™ Horizontal Air Flow and Hyperwave™ Fluctuation Technology, the most efficient heat/dry combination on the market. 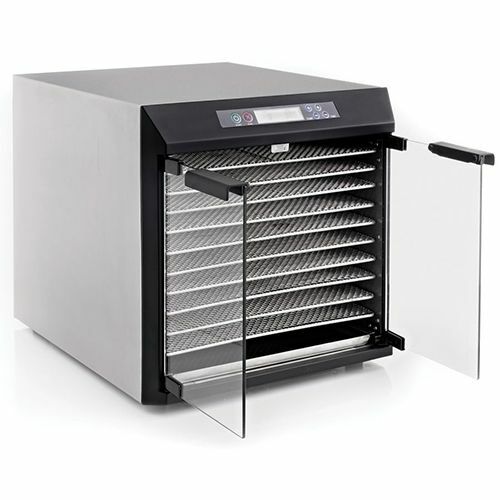 - 10-large Stainless Steel trays, 38cm x 38cm (15" x 15") each. - 48 Hour Timer lets you set it and forget it. Unit automatically turns off when the set time is complete. - Adjustable Thermostat 95◦F to 165◦F. Temperature range is low enough to preserve active enzymes in fruits and vegetables. 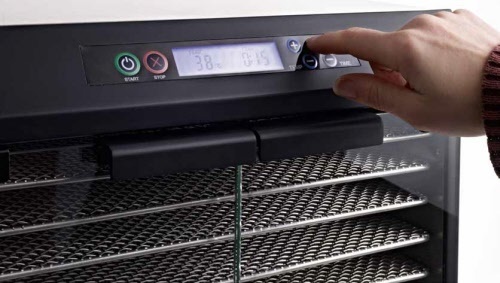 Temperature range is also high enough to meet safety standards for dehydrating meat for jerky. Unit turns on automatically when thermostat is in use.